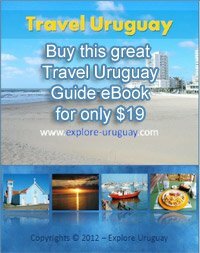 We now have so many Uruguay tourist attractions to share with you that we have broken them up into cities of Uruguay alphabetically. Cerro de la Viuda or "Widow hill"
Casa del Pueblo exists as a monument to the vision and artistic dreams of Paez Vilaro. Widely renowned as one of the world's great modern art museums as well as being one of the world's most delightfully intriguing and relaxing hotel settings. Conrad Hotel and Casino embraces you with luxurious surroundings and a host of amenities. You will find that there is also a caring, friendly multilingual hotel staff that is waiting to assist you in whatever way possible. Isla Gorriti Remnants of a Spanish fortification offering a restarant and bar service during the summer. You can utilize one of the free barbecues in the forest and roads lead to two beautiful beaches. Lussich Park is one of the most important botanical gardens in the world. It has over 420 species of trees of which 350 are rare. Total size of this park is 192 Hectares or 474 acres. A Must See! Termas del Dayman World Renowned Hot Springs! San Miguel National Park Parque Nacional Santa Teresa contains the hilltop Fortaleza de Santa Teresa which the Portuguese started but was completed by the Spaniards. Rio de la Plata is most commonly known as the stunning River of Silver.